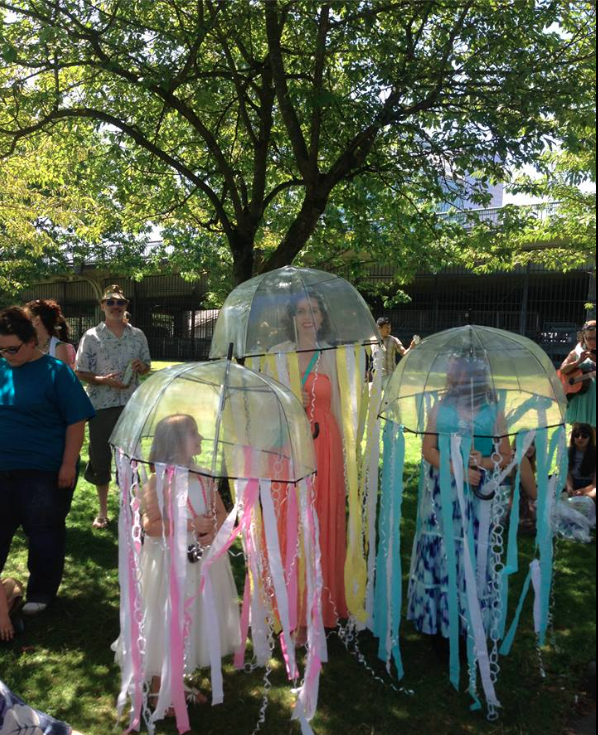 The Portlandia Mermaid Parade is FREE grassroots artistic event aimed at celebrating our community connection to Portland's rivers, port history as well as celebrating all things mermaid and water myth related. The name 'Portlandia' is in honor of the river goddess sculpture created by Raymond Kaskey, currently located above the entrance of the Portland Building located in downtown PDX. Portlandia is the second-largest copper repousse' statue in the United States, after the Statue of Liberty. 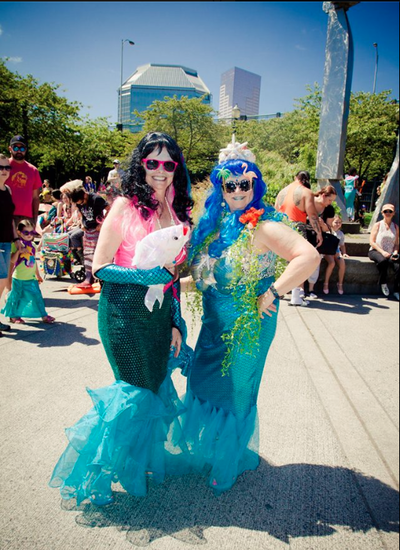 ​The Portlandia Mermaid Parade is also intended to celebrate the living culture of professional mermaid entertainers now thriving in Oregon and through out the NW who help to bring the magic, mythology, of water myths to people everywhere. 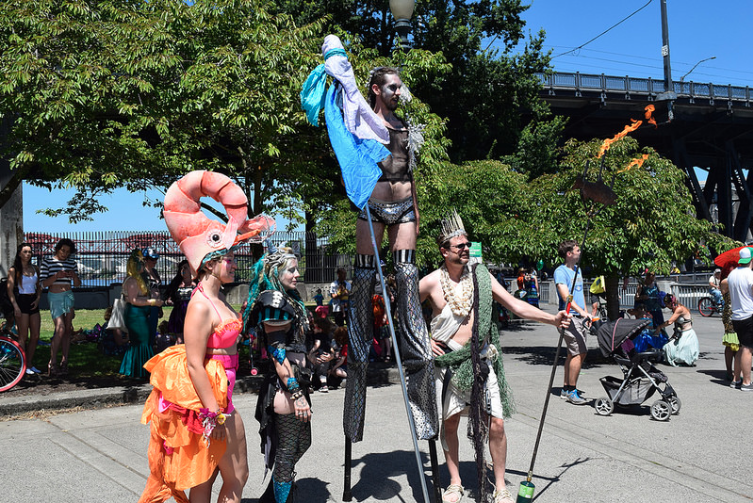 The Portlandia Mermaid Parade also recognizes the increasing struggle for creatives in the region to express their artistic ventures without the negative impacts of gentrification, and other limits placed upon them, as a result of business/corporate elitism. 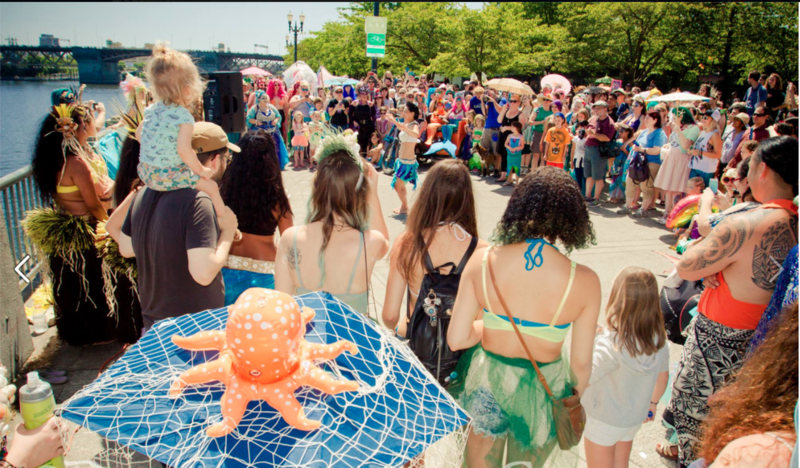 The parade is a revitalization of Portland's long artistic energy, and an opportunity for creatives to have a more public forum for fantasy based self-expression. The Portlandia Mermaid Parade is a secular, noncommercial, and non-specific political event. This means that there is no single cause or agenda that can represent the diversity of the participants in attendance, and no corporate sponsorship. However local and small businesses may sponsor, and individuals and groups are encouraged to promote their secular--political, artistic messages which are in the general spirit of the event and its themes. 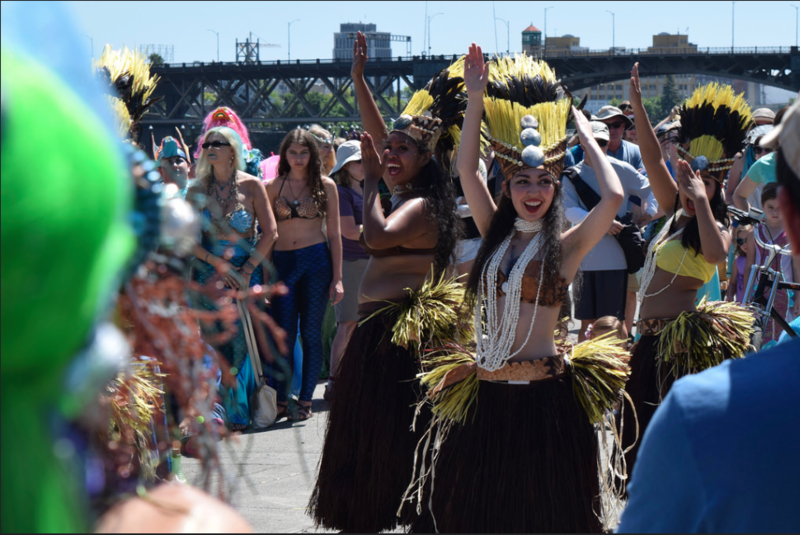 ​As an artistic framework, the parade celebrates professional and nonprofessional mermaid entertainers of the region, in addition to local river history and oceanic myths, legends, symbology, and spirituality. Although this event is NOT a specific protest, it is an organized gathering intended help raise critical consciousness, showcase artistic expression, promote a paradigm shift, and foster cultural, gender, and body positivity, in addition to promoting environmental awareness. 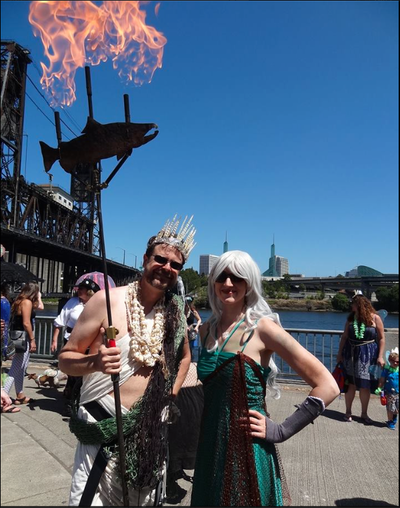 The First Annual Portlandia Mermaid Parade has been created specifically to honor the local mermaid culture here in Portland Oregon and around the NW, with specific ties to our rich river and port history. 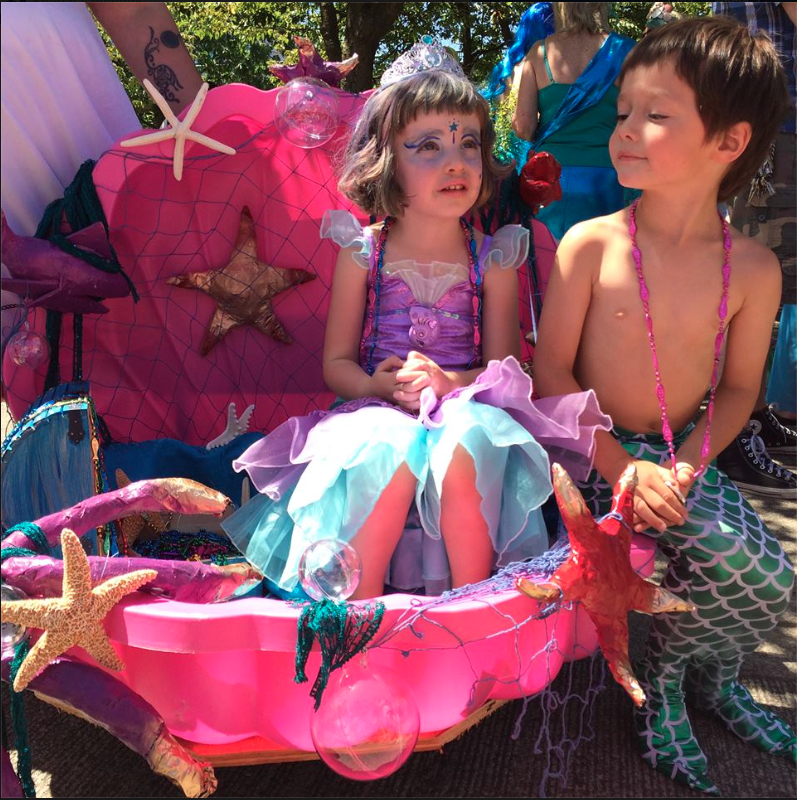 The Coney Island Mermaid Parade is unique and is specifically connected to its sense of place and individuals living in that community. 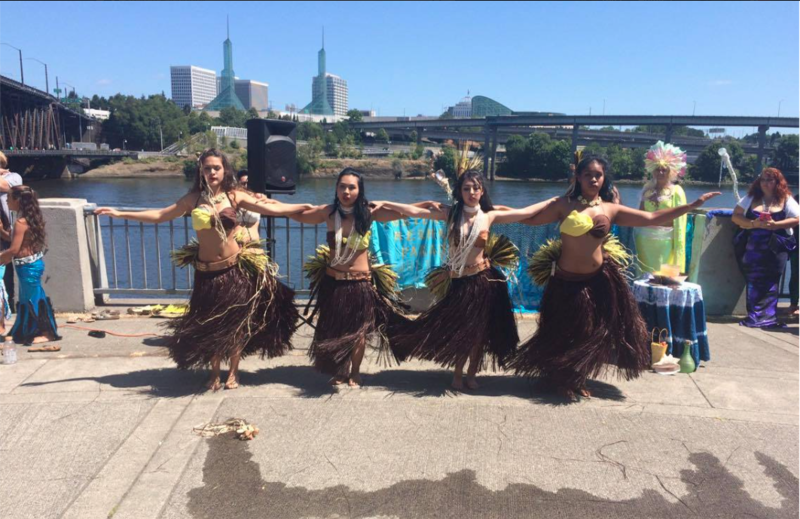 Portland is inherently different both geographically, and demographically, and has the right to to freely celebrate its own unique history and community. Portland is currently undergoing its own unique challenges in preserving freedom of expression as exemplified by our current issues with gentrification, the battle for free space at Last Thursday on Alberta Street, and other spaces. The pursuit of trying to stop other events from around the world and the country from happening is an unfortunate reflection of the capitalistic culture of our time, and is rooted in Western ideas revolving around the commodification of consciousness. 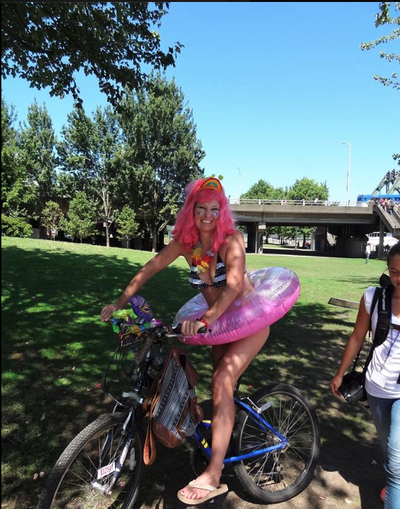 The Portlandia Mermaid Parade stands in peaceful protest against this type of thinking, and considers it to be regressive rather than moving towards a progressive social paradigm shift. 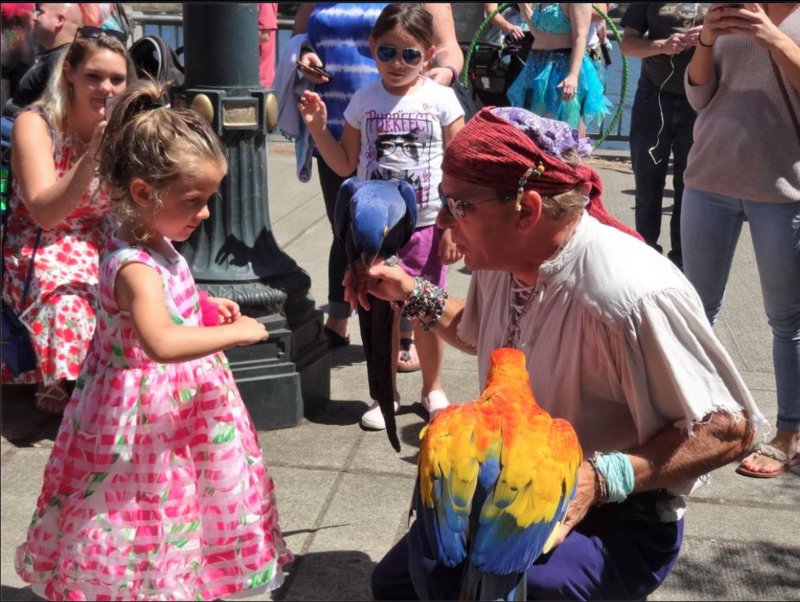 The Portlandia Mermaid Parade is not-for-profit and in no way seeks to profit off of, from any other event with resonating ideas or themes (Be-it Coney Island or otherwise). On the contrary, we encourage anyone and everyone who feels inspired to create events in-kind to help promote magic, creativity anywhere and everywhere! Finally, based on current information regarding copyright and trademark laws: an event itself, including layout, format, and activities taking place at the event cannot be trademarked. These laws specifically refer to logos, names, written materials, tangible products/inventions etc... The question comes down to as to whether or not Coney Island can trademark the term 'Mermaid'. It is the belief of the Portlandia Mermaid Parade that such a trademark would be antithetical to creative consciousness and violate freedom of speech & expression. 1.) 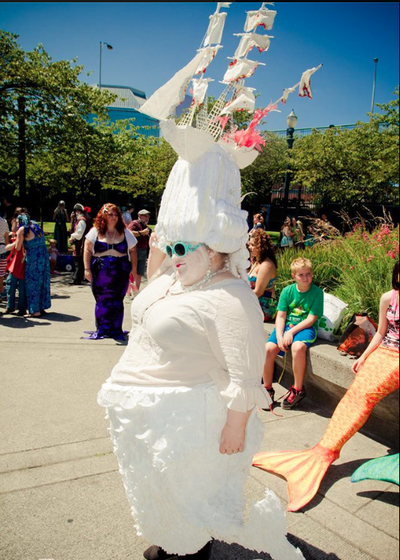 The Portlandia Mermaid Parade reflects and celebrates a culture and history specifically unique to Portland and the NW. 2. )The Portlandia Mermaid Parade has specifically been created by, and for professional mermaid entertainers in the region which belong to a unique artistic culture unto itself. 3.) 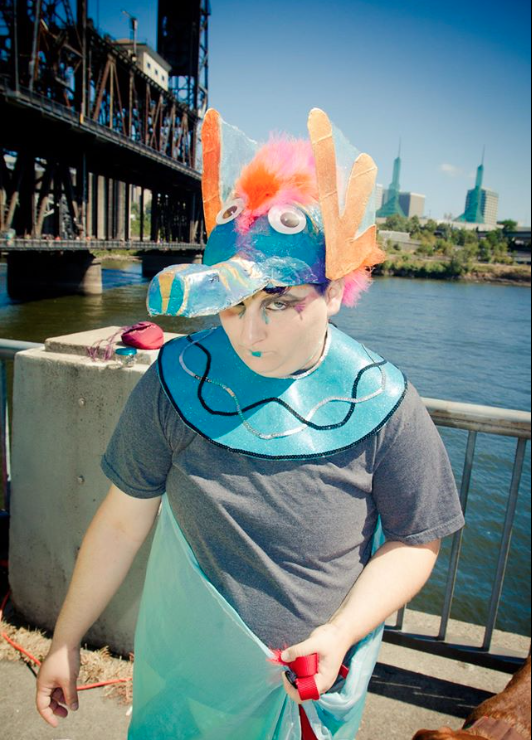 The activities and content of the Portlandia Parade are strikingly different. While the Coney Island Parade mirrors very much the pomp and jest of a Cacophony style event, the Portlandia Mermaid Parade is a celebration of the divine feminine, fantasy based communities of the NW, human access, river health and environmental awareness. 4.) The Portlandia Mermaid Parade is a non-vehicular event, and a FREE to enter. 5.) Parade Marshals are nominated and selected through an essay contest which seeks to celebrate individuals in our community who are doing excellent environmental advocacy and activist work. 5.) 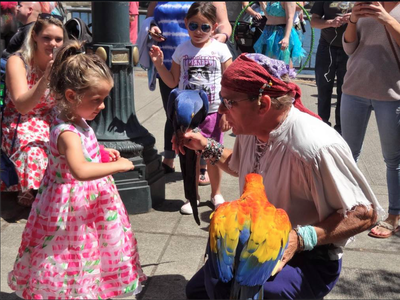 A primary mission of the event is to help inspire other individuals to engage in random acts of magic, joy, and inspiration and to reconnect with their inner child, as a specific strategy in helping to create social transformation. Freedom from unreasonable bureaucratic or financial barriers which limit (either intentionally or unintentionally) the grassroots intention of said event; such barriers will be considered excessive and discriminatory based on the level of unequal impact it has on different organizing echelons within the community.